I’ll be attending my first event at the Orange County Active & Vegan for Life Meetup group this weekend. We’re gonna hang out at the beach, have munchies and roast vegan marshmallows. I thought about bringing brownies to share, but I decided to bring bliss balls instead. 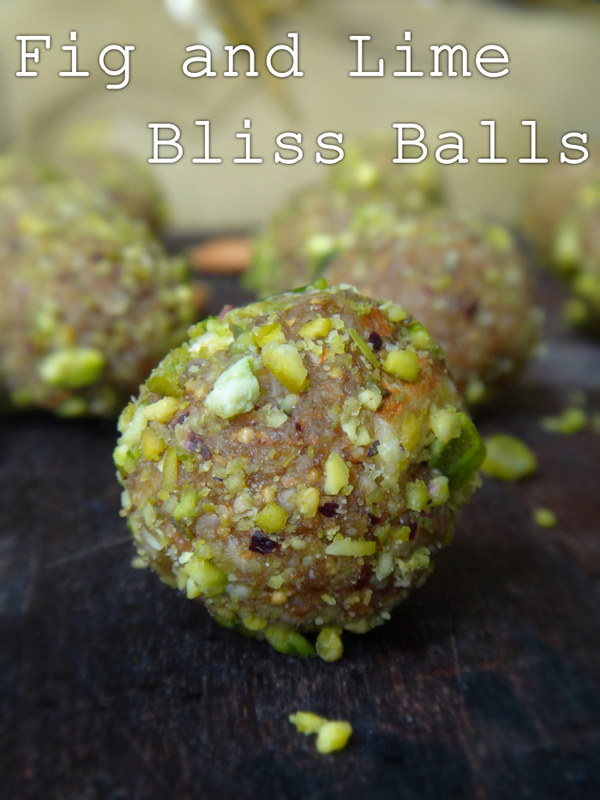 I’ve never made bliss balls before, but I like that they’re generally healthy, easy to transport and usually a cinch to make. I’ve been searching for recipes and found LOTS of them. Here’s what caught my eye. 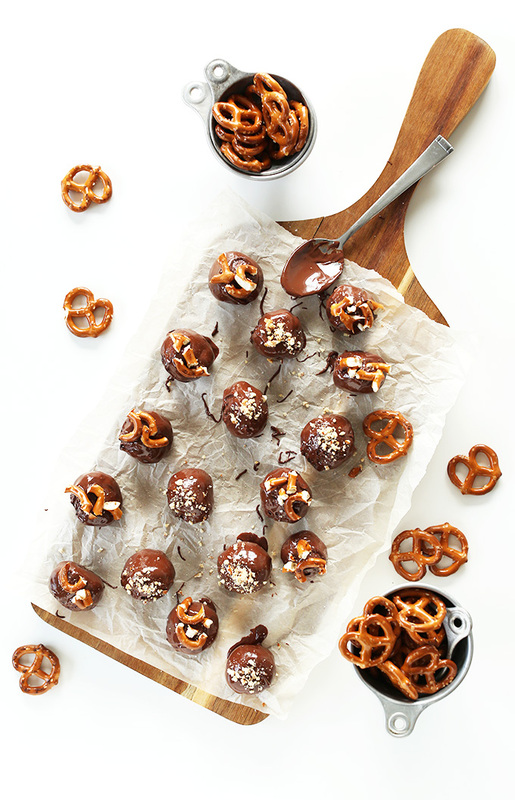 Dana from The Minimalist Baker says you’re gonna love her Peanut Butter Pretzel Balls because they’re, “peanut buttery, studded with pretzels, swimming in chocolate, salty, sweet, sharable, decadent, satisfying and borderline addictive.” I think she’s right! 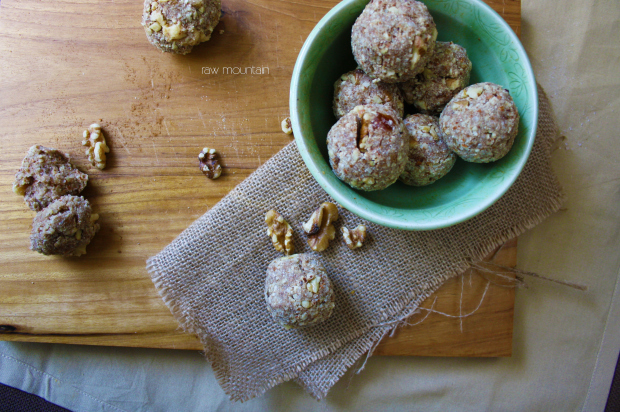 These Raw Banana Bread Balls from Candace at Raw Mountain Kitchen enticed me, but you need a dehydrator to make them. I don’t have a dehydrator – bummer! Maybe one day I’ll make these, but not this weekend. 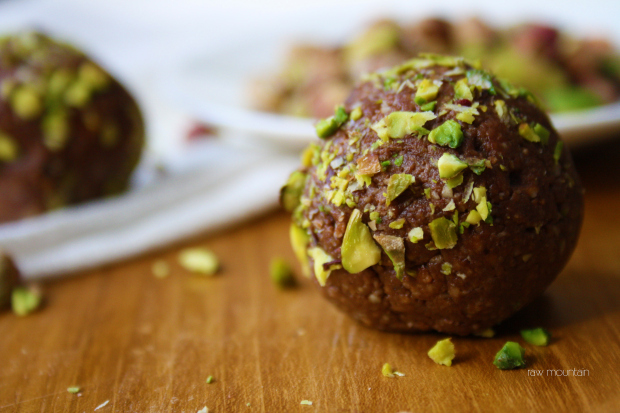 Candace from Raw Mountain Kitchen really knows how to have a ball because I’m also drooling over her Pistachio Chocolate Pecan Balls. But darn it – they also require a dehydrator. But wait! I just found Zaatar & Quinoa’s Pistachio Date Bites and they don’t need a dehydrator. 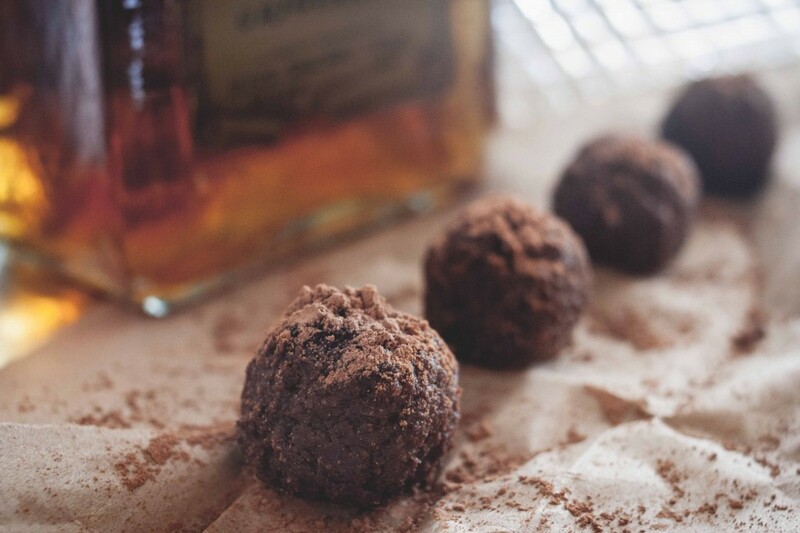 I love that these Amaretto Cacao Truffles from The Road Not Processed are rich and yet healthful. They’re not vegan, but can be easily veganized by using coconut milk yogurt in place of dairy yogurt. 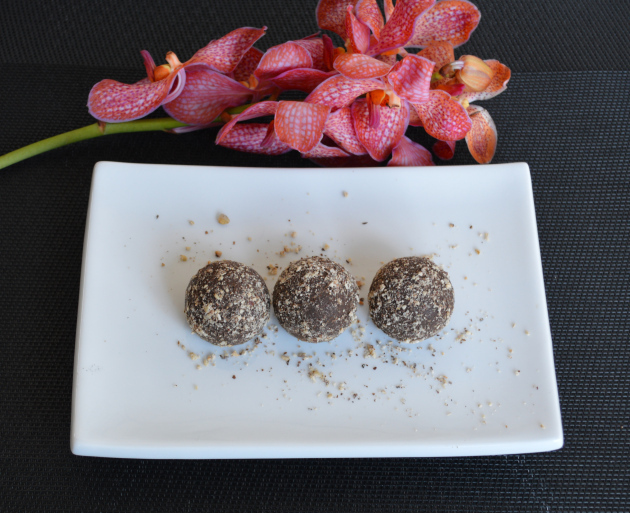 Another intriguing cacao recipe I found is Simplify Your Health’s Raw Cacao, Almond Pulp & Coconut Balls. Yummyvege says she doesn’t know how to describe her Fruit & Nut Balls except to say that they’re, “Yummy! And healthy! And quick and easy to make!” Sounds like a win, win, win! 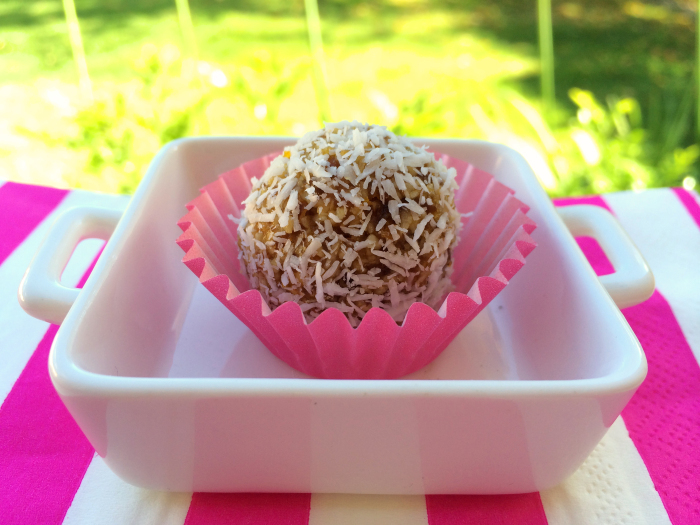 My blogger friend Elaine at Foodbod also makes some Fruit Balls that look delicious! These zesty, tangy, sweet and subtly spiced Fig and Lime Bone Booster Bliss Balls from The Jolly Beetroot look delicious and are also jam packed with calcium. 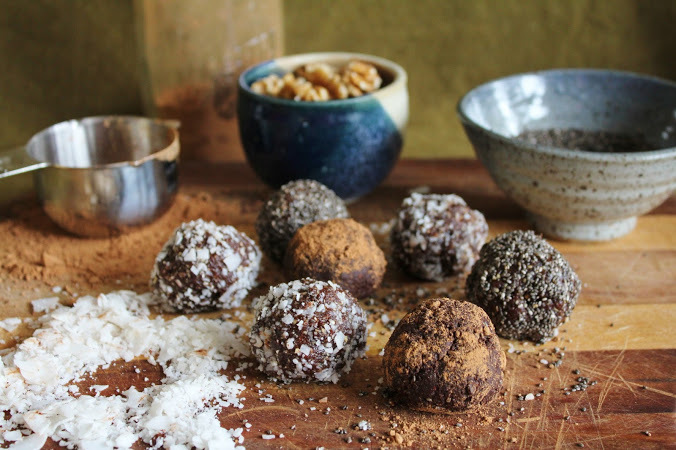 These delightful Butterscotch Bliss Balls contain the superfood, Maca, which is supposed to increase energy, stamina and sexual function. This recipe uses honey, but it can be swapped with maple syrup or another vegan sweetener. 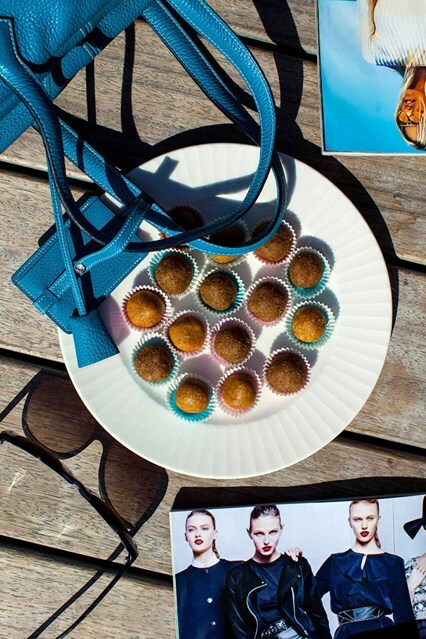 This Rawsome Vegan Life’s Walnut Bliss Balls have only a few ingredients, all of which are super foods. 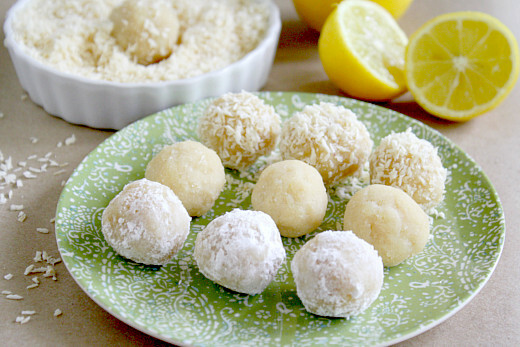 The Healthy Family and Home’s Raw Vegan Lemon Meltaway Balls look like little balls of Spring. I bet they’d be a hit at the Meetup I’m going to. 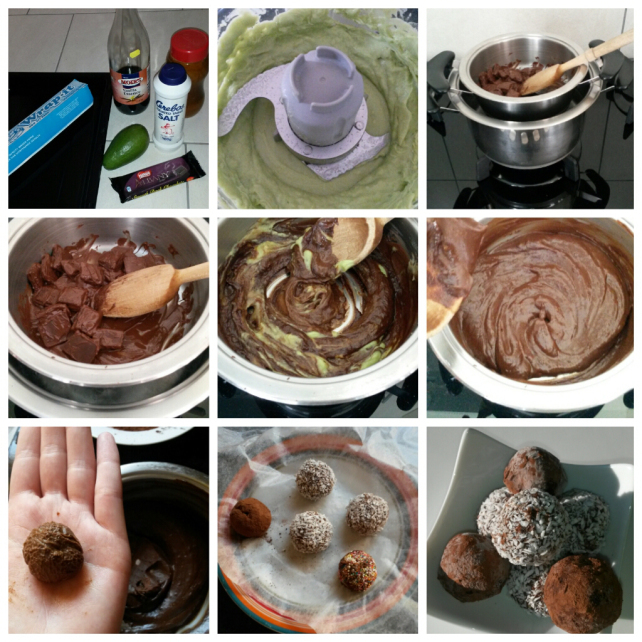 Another recipe that caught my eye is Eat Less Sugar, You’re Sweet Enough’s Raw Cocoa Bliss Balls. 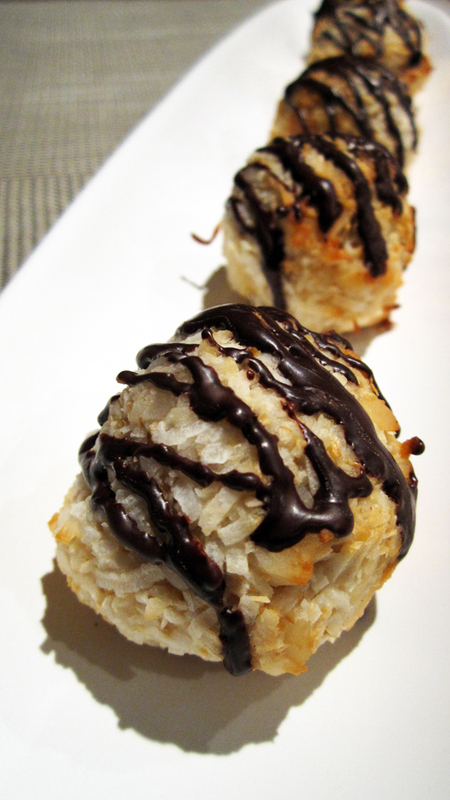 It’s fun to say Macadamia Macaroon Balls, but I’m sure it’s even more fun to eat them! Niki from The Jolly Beetroot said her Sunny Apricot Bliss Balls, “are the perfect summertime treat to pop in a lunchbox or enjoy with a mid-afternoon cup of tea. I think the Orange Coconut Date Bites I found on Practice What You Preach would also be perfect for a summertime treat. 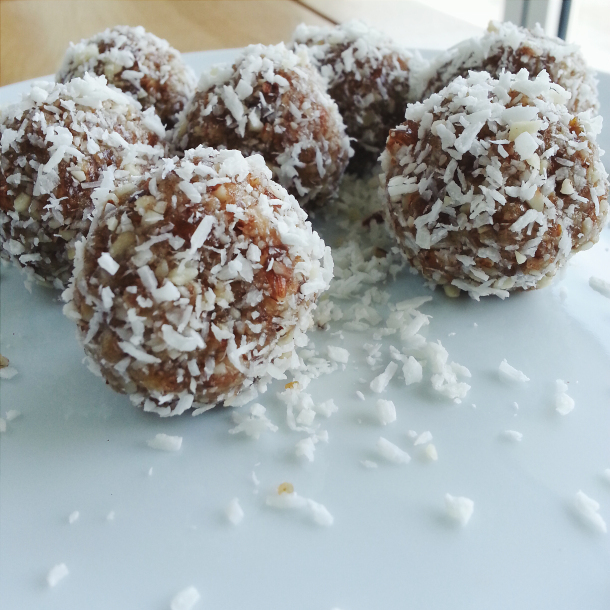 Coconut-date Bliss Balls are a classic snack for health conscious folks. Coconut-date Bliss Balls from She Can’t Eat What!! I’ve made chocolate pudding with avocado and it was delicious!! CT Veganista uses this combo to make her Chocolate and Avo Balls. Both yummy and healthy! Every time you bake without dairy or eggs, you’re baking a difference! 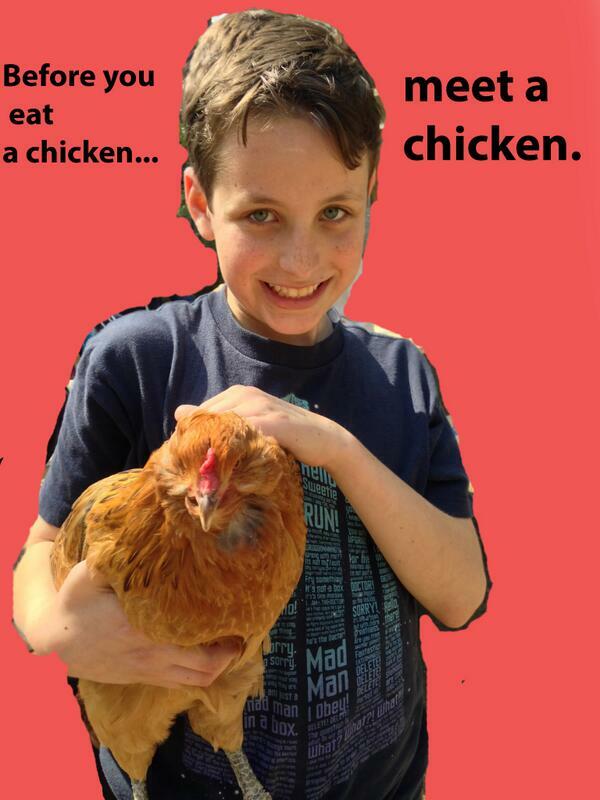 You’re promoting the life and liberty of cows and chickens and contributing to your health. 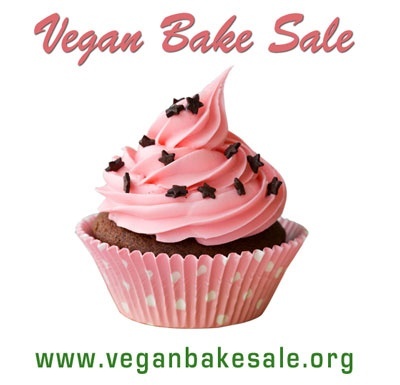 But on April 26 through May 4, you can bake a difference on a grand scale by taking part in the World Wide Vegan Bake Sale. This event is SO cool with groups from across the world holding vegan bake sales. Each group gets to choose its venue, what to sell, and how to use the proceeds. In the first five years of the event, participating groups raised $250,000 for a diversity of causes throughout the world. This year, 150 or more bake sales spanning six continents will likely raise another $50,000. 1. It’s a fun way to introduce people to the joy and tastiness of vegan foods. 2. Raise money for your cause. 3. Be part of an event that will publicize the bennies of an animal-free diet. The Inland Empire Vegan Meetup I recently joined is holding a sale, but I found out about it too late to take part this year. I’ll be participating next year for sure, however! I’m already thinking about what I want to bake. I’m considering One Happy Table’s Crunch Candy Bars or The Lazy Vegan Baker’s Amazing Vegan Brownies, Seriously. I know that Becky from Glue & Glitter is participating in Atlanta. She’s making Homemade Energy Bites. Here’s a complete list of who’s participating. It may not have been for the World Wide Vegan Bake Sale, but Angela from Uberdish recently baked a difference. Check out her post, Chocolate Chip Cookies for a Cause. If you’re participating, do tell what you’re baking!! 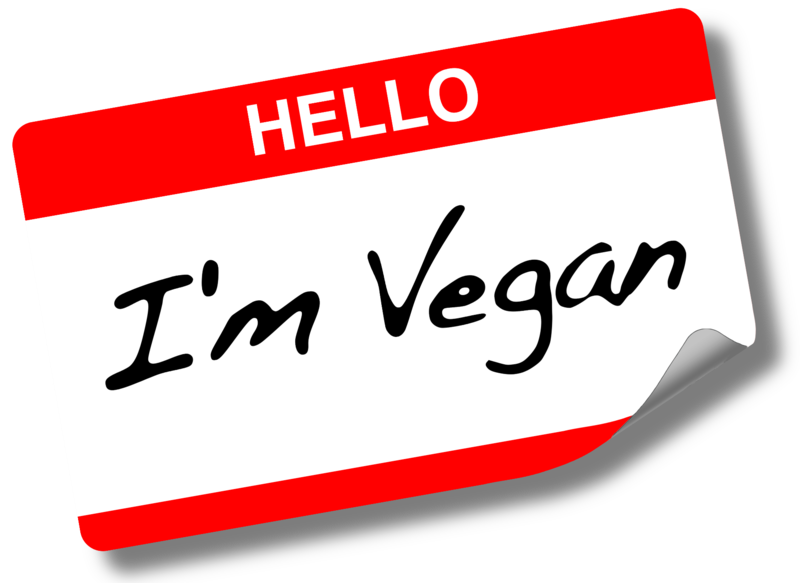 If there’s something about veganism that you’re interested in – you’ll find it on this list! This is the most comprehensive vegan resource list I’ve ever come across. Disclaimer: My only goal with this list is to produce as comprehensive a resource for Vegan information as possible. I am 100% Abolitionist Vegan and 100% against exploitation of nonhuman or human animals, violence against humans, Welfarism and anything else that makes it seem like violence or exploitation of animals is ok. 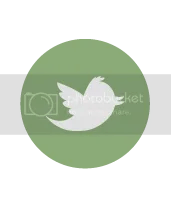 If any of those positions are endorsed on any site in this list, or any language is used to imply that, it’s not that I included that link because I agree, but simply because I don’t control every bit of information on all these sites. I was recently invited to be a guest speaker at the Inland Empire Vegan Meetup. Due to speech anxiety, I wanted to say, “No”, but instead I blurted, “Sure!” I’m glad I agreed, however; because the members were so welcoming that I hardly felt anxious during my talk. Not only was the group friendly, but they were awesome! They do fun events like potluck dinners, dining out, screenings of vegan-related movies and cooking classes. I was also excited to learn that many of their members are not vegan. It’s a comfortable place for non-vegans and vegans alike. I loved the group so much that I joined, but since they meet an hour from my house I doubt I’ll attend often. Although I haven’t been in a while, I’m also a member of the Greater Orange County Animal Rights Roundtable Meetup. I’ve met some amazing people at this group like Dave Simon, the inspiring author of Meatonomics and talented artist, Tania Marie. This is a passionate group that works hard on behalf of animals. And I belong to the Plant-Based Living Meetup. 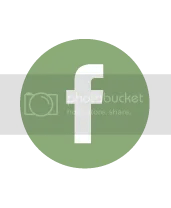 This is a health-based group founded by Katherine Nilbrink, the plant-based nutritionist I worked with when I first went vegan. I’d love to attend Katherine’s potlucks and cooking classes but commuting in LA traffic keeps me away. Since distance seems to be preventing me from attending Meetup functions, last night I searched for local groups. I was excited to find Orange County Active and Vegan for Life in Laguna Beach. I’ve joined them, and since they’re close I hope to be attending soon! Do you belong to a Meetup? Image courtesy of Active Vegetarian. The plant-strong diet I follow doesn’t allow sugar. I thought it would be impossible to cut sugar out of my life, but it’s not been as hard as I thought it would be. My sweet tooth doesn’t suffer because I’ve learned how to make wonderful medjool date sweetened desserts like Orange Chocolate Pudding. I have yet to master a great date-sweetened cookie, however. I’m sure there are some out there, but I’ve been disappointed with the recipes I’ve tried. So when I make cookies, I still use real sugar. I figure a little sugar on rare occasions won’t kill me. The problem with this is that I can’t make cookies without binging on them. And then, once I’ve tasted sugar again, I crave it. So, I decided that I wasn’t going make cookies anymore. But that resolution didn’t last long! While visiting my in-laws for my mother-in-law’s birthday last week, my mother-in-law hinted that she was disappointed that I didn’t bake cookies for her birthday this year (I’ve done so every year since I met her). I caved and made her cookies. Since they were for her 80th birthday, I had to make something special. She told me she wanted chocolate chip cookies, so that was my starting point. It’s hard to improve on chocolate chip cookies, but I just may have done it. It was agreed by all who tasted them that these orange infused chocolate chip cookies were to-die-for! I will also note that baking the cookies was a nice way to bond with my mom-in-law since I made them at her house. I’m glad I did it, but I’m still afraid that I’ll crave sugar again. Oh well, some things are just more important. This recipe is inspired by allrecipes.com. 1. Preheat oven to 350 degrees F (175 degrees C). Line cookie sheets with parchment paper. 2. In a small bowl, mix flax seeds with water and set aside. 3. Sift flour, baking powder and salt into mixing bowl and set aside. Cream Earth Balance, sugars, orange zest, vanilla extract and orange flavor together in a large bowl until light and fluffy. 4. Add half of the flax-seed mixture and beat well and then add the rest of flax-seed mixture and beat again. Add dry ingredients and stir until combined. Stir in chocolate and nuts and mix until well blended. 5. Drop by slightly rounded tablespoonfuls 2 inches apart on cookie sheets. Flatten slightly. Bake for about 15 or 16 minutes or until golden. Cool on the cookie sheets. I’m so tickled that this recipe inspired my blogger friend, Violet, to make her first vegan cookies. She altered the recipe to make the cookies gluten and nut-free. She also added the nice addition of cranberries. Check out her yummy recipe here. I may not have mastered date-sweetened cookies, but it looks like my buddy Annie has. 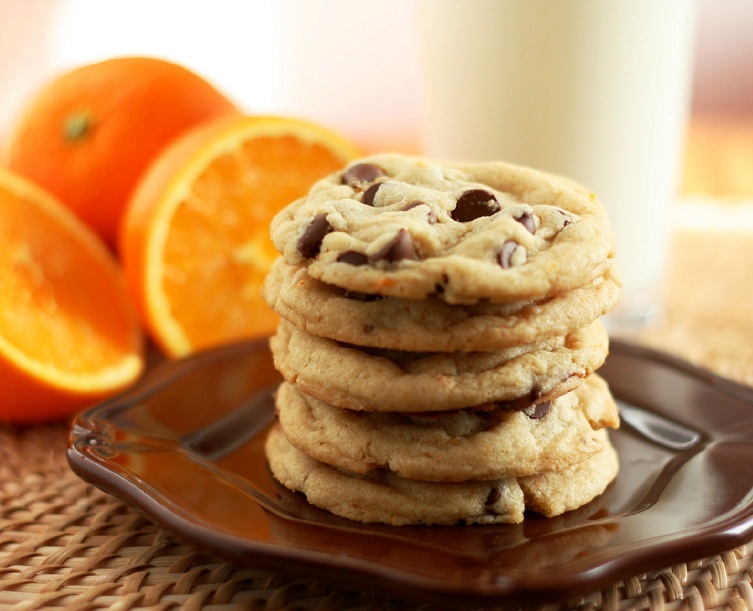 Check out her date-sweetened Orange-Triple Chocolate Chocolate Chip Cookies. I haven’t made these yet, but Annie’s recipes are always amazing! I found Simply Organic Orange Flavor at Whole Foods Market, but it’s also available through Amazon. I never got any photos of the cookies (we ate them too fast! ), so I used a photo representation. The photo is courtesy of Cooking Classy. 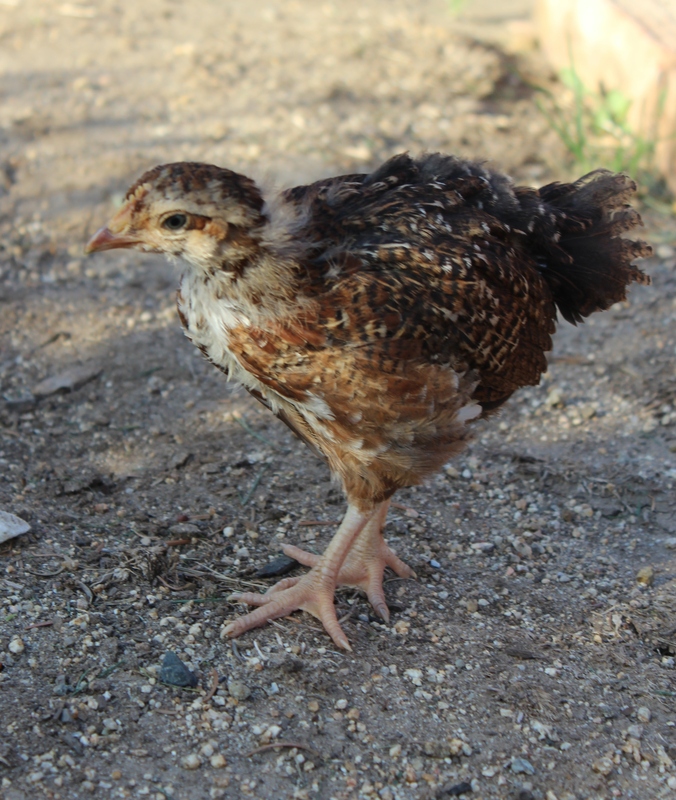 You might want to check out the Easter Chick Cookies on this site – they’re not vegan, but I’m sure they could be veganized. When I first went vegan, I fantasized about opening a plant-based café. I even dragged my husband all over Southern Orange County looking for the perfect location for my restaurant. 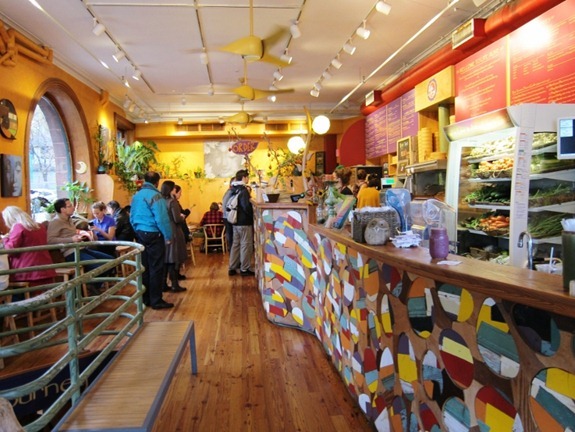 When I got serious about the idea, I contacted the owner of Life Alive, my favorite vegan restaurant in Boston, to chat with her about restaurant ownership. She invited me to spend some time working in her kitchen and off I went. My time in the Life Alive kitchen, however; squashed my café dreams. Restaurant ownership was hard! That was awhile ago, and I thought my café dreams were over, but I’m thinking about it again. Yesterday I made my first vegan cheese, An Unrefined Vegan’s Cashew Coconut Cream Cheese. The stuff was amazing, better than dairy cream cheese for sure. And it’s a cinch to make. Just whip the ingredients and let it set in the fridge. This got me thinking about how easy it would be for bagel shops to add vegan schmears to their offerings. Since we live in an omnivore world, however; I assumed few bagel bakeries would bother. This bummed me out. Then I thought, maybe I should open a vegan bagel bakery. I could sell healthier bagels made from sprouted whole grains and a variety of nut-based schmears. I could even make healthier versions of espresso drinks like vegan mochas sweetened with dates. Oh no, here I go again! Photo courtesy of Carrots ‘N’ Cake. 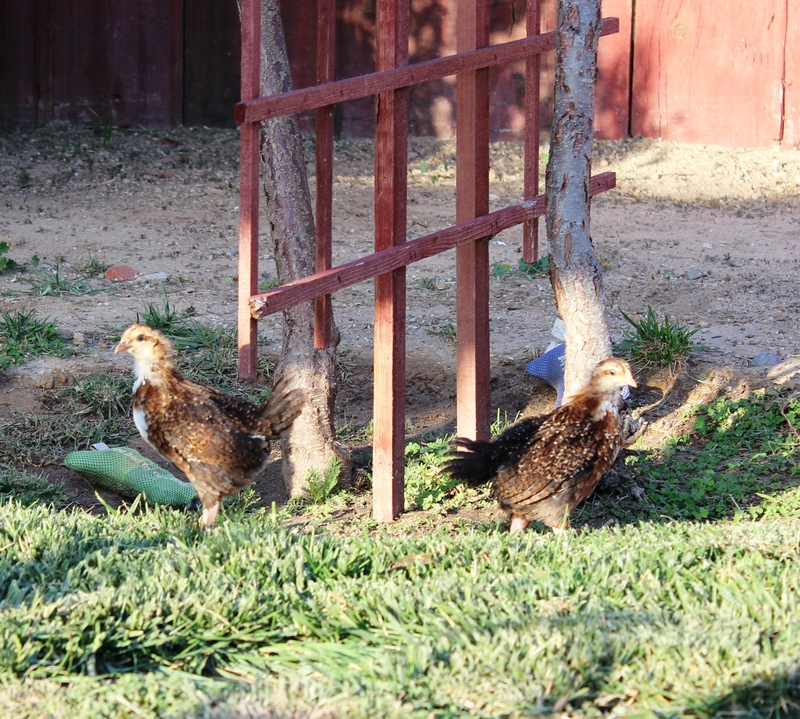 My sister recently told me that she was going vegan, but then she got three chickens to raise for eggs. I was disappointed that she wasn’t following through with going vegan, but I’m not judging her. Sure, I’d like to see her adopt my lifestyle, but a judgmental attitude will only make her less open to veganism. So instead, I took photos of her lovelies. I’d planned on posting the pictures awhile ago, but I never got to it. 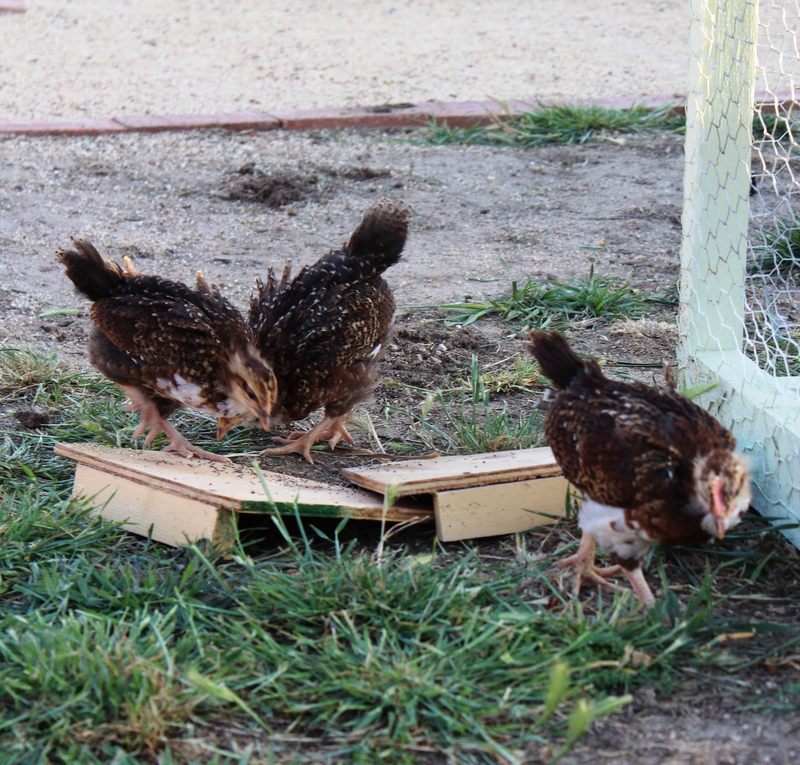 Then last night my sister asked me, “When are you going to write about my chickens?” So today, I got to it. Michelle, Linda and Larissa, this post is for you! 1. I’ll never be a nugget! 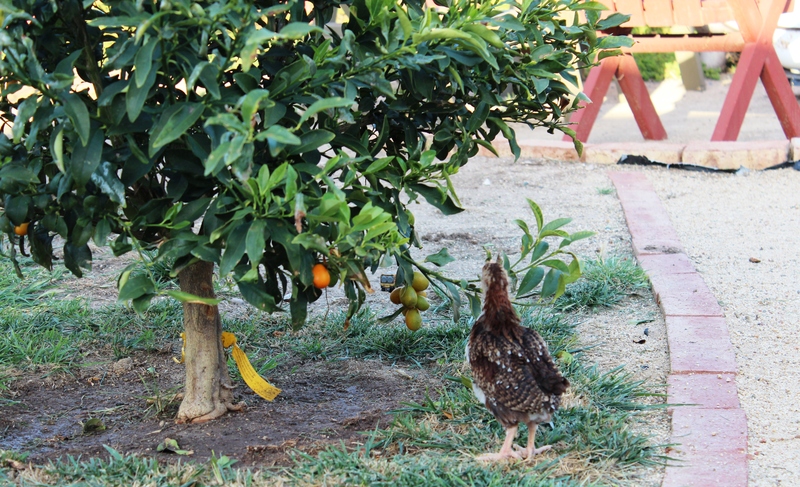 The Joyless Vegan shared this touching article about hens and their eggs: A Hen’s Relationship with Her Eggs, as well as this informative one, What’s Wrong With Backyard Eggs?. Sophia from Love and Lentils shared a wonderful little video, Bird Brain (it’s really short, check it out!). 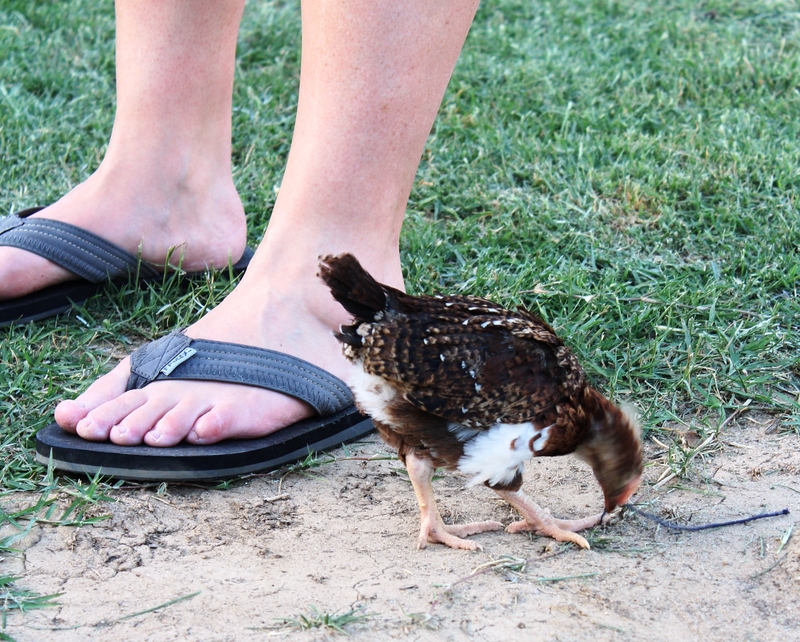 My blog follower, Mychael M. shared interesting link: Eggs: What Are You Really Eating?. 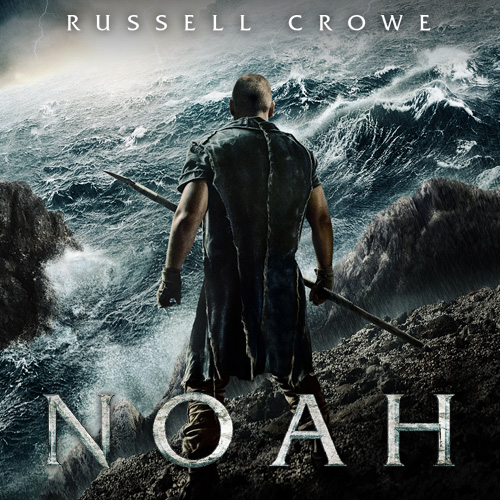 When I spoke to my mom the other day, she suggested I see the movie, Noah. “Is it good?” I asked. Then today, my blogger friend, Diahann from Stories from the Belly, also said I should see the movie for the same reason. I got the sense that Diahann liked Noah more than my mom did, however. I don’t know if I’ll see the movie or not, but thinking about Noah and veganism reminded me of when my dad told me that he thought it was okay to eat meat because Jesus ate fish. And I’ve known other Christians who believe that God created animals for humans to use as they see fit, including for food. Curious, I Googled Noah and veganism. I found a blog post of the same name that shares, “…like it or not, according to the Bible, man was created to be a vegan. I’m not even kidding (see Gen. 1:30, Gen. 2:9)”. I’m no biblical scholar, but I think that God allowed humans to eat animals after the flood, but only as a concession to our sin and violence. So what does that mean for Christians? And if you’re Christian, of another faith or spiritual, do you feel that your faith sheds any light on what you should eat? You’ve got to read these quotes! Proverbs 12:10 – The just man takes care of his beast, but the heart of the wicked is merciless. Daniel 1:8-15 – But Daniel was resolved not to defile himself with the king’s food or wine; so he begged the chief chamberlain to spare him this defilement. Though God had given Daniel the favor and sympathy of the chief chamberlain, he nevertheless said to Daniel, “I am afraid of my lord and king; it is he who allotted your food and drink. If he sees that you look wretched by comparison with the other young men of your age, you will endanger my life with the king.” Then Daniel said to the steward whom the chief chamberlain had put in charge of Daniel, Hananiah, Mishael, and Azariah, “Please test your servants for ten days. Give us vegetables to eat and water to drink. Then see how we look in comparison with the other young men who eat from the royal table, and treat your servants according to what you see. He acceded to this request, and tested them for ten days; after ten days they looked healthier and better fed than any of the young men who ate from the royal table. Colossians 2:16-17 – No one is free, therefore, to pass judgment on you in terms of what you eat or drink or what you do on a yearly or monthly feasts, or on the Sabbath. All these were but a shadow of things to come; the reality is the body of Christ. Why Did God Create Animals? What Would Jesus Eat Today?